Founded in 1994, the Hyannis Sound organization strives to provide a once-in-a-lifetime experience for the young men who fill its ranks each summer. Through their experiences with the group, these men garner valuable skills in performance, business management, and musical direction. While growing as individuals, they also form countless friendships and become members of a brotherhood that last a lifetime. The Sound gathers each year around Memorial Day, and spends the summer performing at private and public functions across the Cape and the greater Northeast of the U.S. Whether performing at a graduation party, one of their weekly shows, or street singing, the Hyannis Sound aims to provide a unique and interactive entertainment experience that keeps their audiences coming back for more. 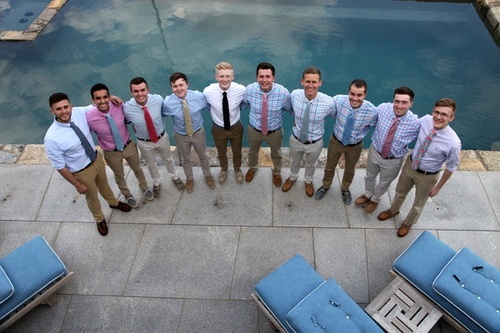 While the experience is unforgettable for the 10 young men in the group each summer, being active members of the Cape Cod community remains a primary goal. As a part of that community, the Sound looks to contribute to the wealth of musical culture that the Cape has to offer. The group continually pushes itself to provide a positive example for young musicians across the region and beyond.